The skills page is there no more. There is, however, a way to look for relevant skills. I am proud to have discovered how to do this – in fact, in more powerful ways than the original page allowed. I have been teaching this approach in my lectures; at this point am happy to share, how to do that, with the online community, for everyone’s benefit. We’ll use the Find Alumni function. 2. In the search box in the lower right corner, name one or more skills. 3. Then move to the second screen (use the highlighted arrow on the above screenshot) – and see the relevant skills there, even along the numbers of people who have them! The keyword university could be changed for “college” or for “school” to see more diverse results, if necessary. Alternatively, you can just use a specific University where (many) target professionals may have graduated from. To summarize, we selected a range of grads, entered skill(s) into the search box, and can see a list of relevant skills. 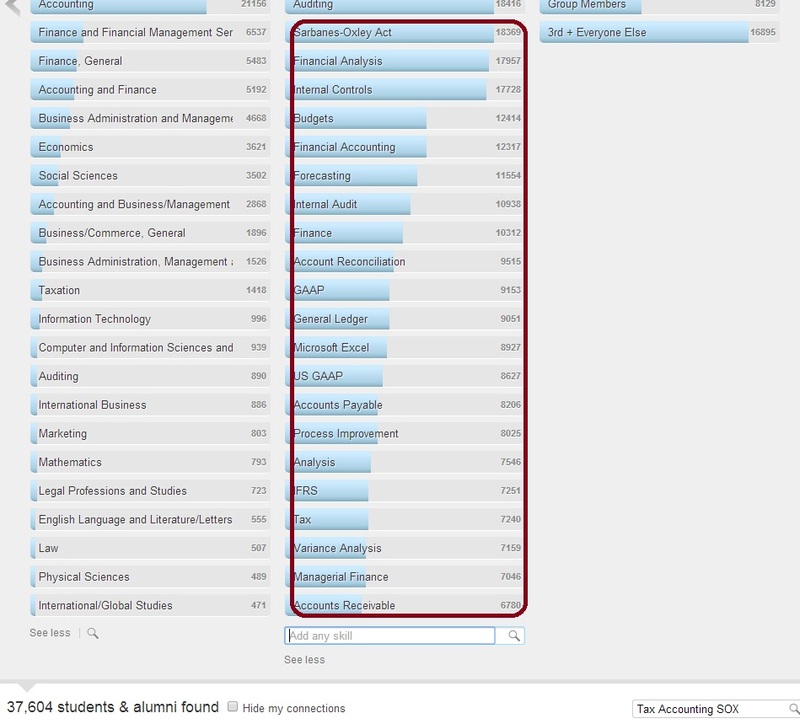 As a full summary, the alumni dialog allows to find relevant skills based on one or more skill names; also, locations, companies, and fields of study. It also shows the numbers of people with the skills in the selected set of members. This is much more powerful than the original skill page provided. This technique can be used to identify terms to search for. among other things. Here, now you know it! A great tip Irena, thanks for another useful nugget – I’d never have the time or capacity to work it out for myself! Thank you for this! Very cool. This is an interesting find Irina. Unfortunately, it is a poor replacement for the sorely missed LinkedIn Skills…I find the percentage of loosely/potentially unrelated related skills to be quite high, even from the image you shared for Tax Accounting Sox (budgets, forecasting, financial analysis, etc., are not specific to Tax and or SOX). Unlike LinkedIn Skills, I find the majority of the terms listed to be unsuitable for creating relevant OR statements/concepts. If someone were to use most of those terms in an OR statement, the results would not strongly favor the initial concept of Hadoop, if at all. Thanks for your comment, Glen! 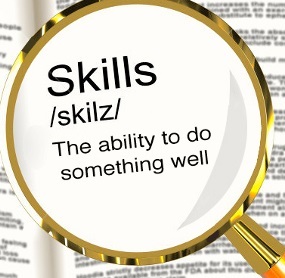 To get the “really” relevant skills you might want to narrow it down using the other available facets (which is what I imagine the “old” skills page was doing in the background). If you have saved any of those suggestions by any chance we could compare. From what I can tell, it’s just pulling the top skills based on your filters and keywords, which isn’t drawing any relationship between the search terms and the top skills. Not really sure exactly how Skills was working, but there certainly seemed to be a higher degree of relevance. Hi Irina, I’m new to sourcing and want to first thank you, Glen, and all the other Sourcing experts who teach and share your valuable information on the internet. I tried the Linkedin Alumni tip but when I change schools and type university it is populating with University of Phoenix. I think Linkedin may have changed it since you posted your tip. I also tried with Interests (as recommended by Johnny Campbell in a Colleague Software webinar) and am finding the same issue. 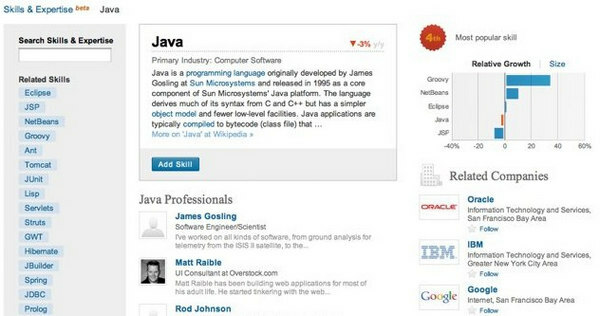 Can you please advise if Linkedin has changed the capability to search all university data since your post? Thank you so much.